The author of the article proves that we are now living in the era of diary’s inflation. Techniques of ancient and Christian modes of giving form to life are now dead. Old methods of giving form to life have been transformed by new culture unity of new media. This thesis is historically supported by recalling the examples of François Rabelais, Marcel Proust, and Georges Perec. Opposing this view, the author of the paper reconstructs two great attempts of transforming life into a text, namely Witold Gombrowicz’s Diaries and Sławomir Mrożek’s Diaries, as the two works are joined by a common conviction that literature and life come true only in a diary. Franz Kafka’s Diaries offer the author a way of reading Gombrowicz’s Diaries, while Thomas Mann’s Diaries are helpful in reflecting on Sławomr Mrożek’s ones. In his paper, the author intends to understand the relationship between life, writing, and life form. The key etymological trope for the author is the word “diarium” from which the word “diary” is derived, and which means everyday food portions given to soldiers. In this sense, life is conditioned by a diary, not vice versa. The article is an analysis of texts launched from 1945 to 1948 on Stanisław Brzozowski’s heritage in postwar Poland. The author of the paper does not limit his observations only to presenting the emerging voices concerning the matter, but presents them as symptoms of a more widespread phenomenon of social, political and cultural character. The problems raised in the paper are the relationship to Polish tradition of non-communist left wing as well as to the issue of writers’ identity redefinition stances and beliefs. The author, resorting to case study, also attempts to prove that the first postwar years were the period of boisterous intellectual exchange and discussion on the shape of new Poland not only in its political and social dimension, but also in a cultural one. The author of the article attempts to set Tadeusz Różewicz’s poetry into the context of John D. Caputo’s radical hermeneutics. The paper opens with an interpretation of problems of Różewicz’s fragmentary work which reveals its radical hermeneutic implications that include e.g. conviction about the collapse of metaphysical interpretation of the world, objection to any complete encompassment, being subject to flux. Różewicz’s poetry realises Caputo’s hermeneutics basic imperative “restoring life to its original difficulty”; the poetry is characterised by peculiar “honesty” consisting in retaining the state of uncertainty, instability and liquidity, and non-neutralising them with metaphysical support the aim of which is protecting the play of meanings and reassuring the subject. That perspective allows to interpret, inter alia, Różewicz’s poems touching upon the problem of part and whole, nihilism as a peculiar cultural diagnosis, and impossibility of unambiguous sense reconstruction. The article also describes Różewicz’s poetry ”radical hermeneutic circle” which proves to be a crooked circle since it lacks in completeness and moves only from a fragment to a fragment. Ultimately, the paper exploits positive implications of Różewicz’s stance, focusing on poetical, ontological and ethical problems. The aim of the article is an analysis of formal structure, characteristic of Michał Głowiński’s autobiography. Hellich confronts Głowiński’s Kręgi obcości (Circles of Strangeness) with his prose debut (Czarne sezony <The Black Seasons>) in order to prove that the two forms of intimate writings are differentiated first and foremost by their linguistic organization. Kręgi obcości is dominated by diglottic (in Bakhtin’s view) realist narration, yet in some places broken by (monoglottic) expressive parts, which suspend the subjective “I” vs. objective “I” dialectic, characteristic of autobiography. Hellich proposes the thesis that the expressive parts, though marginal within the limits of the entire “autobiographical story,” are present in the text’s trouble area. Emilia Wróblewska is little known in Polish and Lithuanian culture and mainly remembered as the mother of Tadeusz Stanisław (a famous political activist) and of Augustyn (chemist, social activist and anarchist). The Library of Lithuanian Academy of Sciences in Vilnius treasures in its collection a rich archive of Emilia and Eustachy Wróblewscy, including Wróblewska’s letters, her diaries, translations and poems. The sources shed a totally new light on the figure: she is seen as an amateur woman of letters, unhappy wife, a devoted mother and a woman who on the one hand tried to realize her duties, and, on the other hand, as the one who wanted to cross the boundaries of the role she was given by the 19th conventions. The article presents the diarist’s detailed bibliographical data and a literary analysis of her rich handwritten creativity. The subject of the article is a dissertation by Tadeusz Miciński who attempted to obtain the degree of doctor of philosophy under supervision of a philosopher Wincenty Lutosławski, a worldwide famous Plato’s dialogues scholar. The thesis referred to the problem of soul immortality and was never completed. The remaining handwritten fragments are initial parts of the dissertation and include the supervisor’s remarks and translations of small excerpts of Dialogues done for the purpose of the paper. The article presents the history of a complex relationship between Lutosławski and Miciński, consisting of, inter alia, Miciński’s help in Lutosławski’s language statistics calculations, and subsequent Lutosławski’s criticism of Miciński’s poetry. The analysis of the available handwritten fragments allows for a revision and specification of some of the opinions on Miciński’s translational history effects and Platonic inspirations in his poetry. The article refers to Józef Wittlin’s diary–unpublished and unknown to readers. The text, composed of notes taken from the 1920s to the year 1976 (the year of the author’s death), is of paraliterary and syncretic character, and bears the title Raptus Europae. Dziennik (Raptus Europae. A Diary). Wittlin’s daughter, Elżbieta Wittlin Lipton, the poet’s only heiress, made it available for inspection and publication only to a few literary historians. Among the diary’s notes we find, inter alia, a handwritten fragment of Sól ziemi (The Salt of the Earth), notes to second part and a project of third part of Powieść o cierpliwym piechurze (Story of a Patient Infantryman), detailed plans of intended novels, rough drafts of the drama Barabasz (Barabbas), notes from travels to Europe and sketches of unfinished poems. 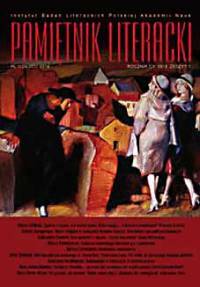 The present paper focuses on Wittlin diary’s autobiographical character. Józef Wittlin and Czesław Miłosz’s correspondence evidences the life emigrants. The letters are a complement to Miłosz’s letters to Wittlin published earlier. Most intensive contacts of the writers is observed in the 1940s and 1950s, when Miłosz served for Polish diplomacy in the USA. 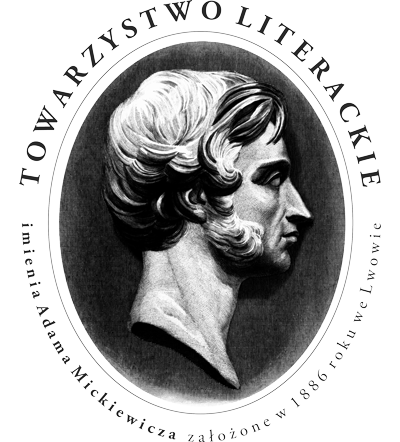 It was the time when they most frequently exchanged letters and cooperated in the publication of the book Adam Mickiewicz. Poet of Poland. A Symposium (New York 1951). There is no output of their correspondence dated 1960s, though we cannot exclude their telephone contact at that time. Both Miłosz and Wittlin respected each other’s creativity, yet they did not feel much reciprocal affinity. They differed as regards political views and life situation. Wittlin in his letters to Miłosz was fairly official and undemonstrative, which may be well visible in comparison to his letters to Wierzyński, Haupt, Giedroyc, and even Kridl. Even so, their correspondence is important evidence of contact and cooperation of the writers–vital not only for Polish literature. Scholarly texts placed in the publication Prince Józef Poniatowski in culture and education offer an multidimensional portrait of the royal family member. They reveal different mechanisms of the character’s creation in literary, social, educational, media-studying, historical, and geographical contexts. They show that Józef Poniatowski is still seen as a hero who codifies the national imagination, while the controversies related to his life and death, his existential path leading from salon to battlefield – affect as a socially perceptible character. The review concerns vol. 2 of the new Conrad series, published in Polish by Maria Curie-Skłodowska University in Lublin in 2013.The focus of the volume is on Conrad as a Pole and a European in the sense of his views on Polish, European and world history, politics and the related ethical issues. The review enhances the Retingerian vision of a Pole and a European, which is embodied in Conrad as an English writer of international repute and Polish descent. The author of the review stresses the vital role of both the present volume and the whole series for a constructive and mutually corrective convergence of Conrad studies in Poland and abroad. 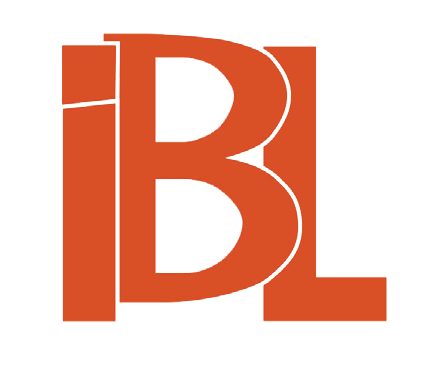 The review discusses Marta Wyka’s book on Stanisław Brzozowski’s novelistic, literary critical and philosophical creativity. Wyka’s monograph and articles give the writer a new place in Young Poland culture and present Brzozowski’s outlook on modernity problems which stands in opposition to the presently dominating views on this formation in Polish literary research. Special value of the book is the fact that it is exceptional evidence of the reception styles of texts by Brzozowski who constantly engaged his readers into intellectual history of their modern times. 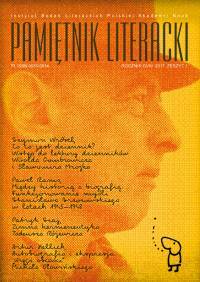 The text reviews Czesław Kłak’s book on Stanisław Pigoń, a literary historian and an editor. The book, an effect of many years’ studies on the scholar’s life and output, includes various new and valuable pieces of information not only about the professor himself, but also about the times he lived in. The author presents Pigoń’s correspondents – figures connected with the 20th c. scholarly circles and their mutual relations. The review discusses three books on the newest debates on the legacy of Polish and Eastern European structuralism. The papers, taking up both its history, assumptions of the method, and its most outstanding representatives, are linked by one thesis, namely a conviction about a still inspiring (and still rediscovered) heterogeneity of this literary research mode of analysis. The review of Paweł Dybel’s book Oblicza hermeneutyki (Faces of Hermeneutics) attempts to present in the most succinct way its most vital problematic axes. It focuses on possibilities of touching such categories as logos, value, conversation, understanding, aporia, indecidable, doctor-patient relationship–a connection by its nature hermeneutical. It is an invitation to a dialogue of a potential reader with a next book by an outstanding literary hermeneutics specialist.